Bahia Corinthian YC staff commodore competed in more than 100 ocean races. NEWPORT BEACH — Bahia Corinthian Yacht Club members are deeply saddened by the death of Staff Commodore Jim Emmi. He was 99. Emmi died of natural causes at his home in Corona del Mar on May 14 with his wife, Catherine, son-in-law Cameron, and close friends by his side. Emmi would have celebrated his 100th birthday on June 23. 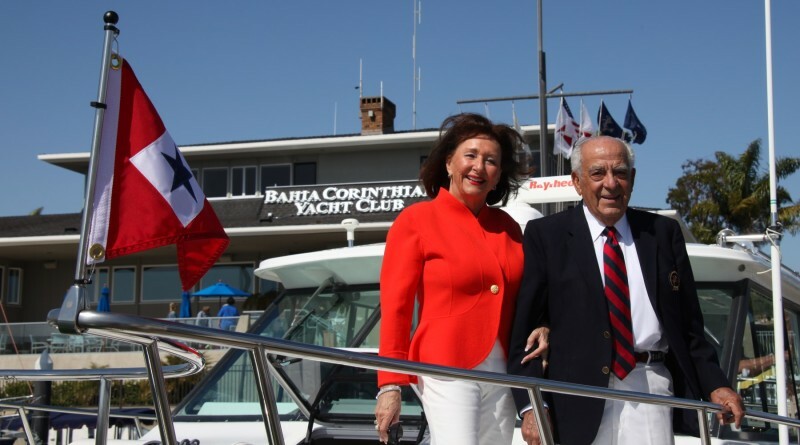 Emmi joined Bahia Corinthian YC in 1970 and was named commodore in 1977. He purchased his 43-foot Swan sailboat, Pele, in Finland in 1978. With a revolving crew from Bahia Corinthian YC, Emmi went on to sail in the Mediterranean, the Caribbean through the Panama Canal and eventually back to Newport Beach. Between Pele and his previous Islander 37, Emmi participated in more than 100 ocean races including the 1982 Transpac to Hawaii. Alongside Emmi were six Bahia Corinthian YC crew including Joe and Grace Degenhardt. The skipper most recently raced at the age of 94 in the club’s 125-mile Around the Island Race. In 2007, he was awarded the Commodore of the Year award. Bahia Corinthian YC’s race committee boat is named Emmi due to his generous contribution to the Bahia Sail Racing Association. Together with Catherine, Jim’s philanthropic involvement has included education, health care, the arts and science.